We considered the interplay of intrinsic and external career motivation by comparing two relevant vocational groups: artists and businesspersons. 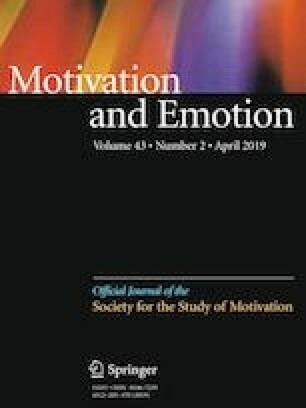 In Study 1 business students, relative to art students, reported more external and less intrinsic motivations for their current majors, and aspired more to money, status, and appearance in the future. However, the two groups were no different on intrinsic future aspirations for growth, connection, and contribution. In Study 2 business students again had more external and less intrinsic career motivation. However, they were again no different in their intrinsic future aspirations, and also, were no different from art students in their longer-term career motivations. Study 3 used a sample of mTurk workers and replicated the basic pattern of three-way interactions. Physical scientists/science students, also examined in all studies, tended to have current and longer-term motivations lying midway between the art and business groups. Consistent with organismic perspectives on human nature, it appears that everyone aspires for a meaningful and enjoyable future; however, business types may put off these motivations in the present, whereas artistic types pursue them directly. This lends support to the notion that despite motivational differences in the present, everyone desires to be intrinsic in the end. The study has been partially funded by the Russian Academic Excellence Project ‘5-100’.